I am very honored and excited to have been involved with this remarkable Catholic community for the last 8 years as the Preschool Director. Having been previously employed at St. Joan of Arc parish as both a Pre-K and a Kindergarten teacher, I feel as though He has brought me back home! It is truly a blessing to be a part of this Catholic preschool where I am able to share my faith and His love with our families and children. Pursuant to this wonderful opportunity, I was the Director at Our Lady of Joy Preschool & Kindergarten for 5 years. I love the fact that I now live only 5 minutes from work! I am a native of York, Pennsylvania where I received a BA in Psychology, with a Minor in Early Childhood Education from Penn State University and pursued my Masters in Clinical Child Psychology at Loyola College. I have lived in Arizona for the last 27 years, and have a 26 year old son. St Joan of Arc Preschool is inspired by the Reggio Emilia approach and we believe children thrive when authentic relationships are formed amongst each child and his/her teacher, family, and community. Our intentional nurturing environments open the door to each child's imagination, curiosities, and love of learning. Our program engages the whole child with developmentally appropriate materials. Our project-based emergent curriculum gives our children ownership of their learning with the support of our teachers. I am proud to say that with the determination of our quality staff, our intentional environments, and our low ratios, we have been awarded a 4 Star rating from Quality First. I am so grateful to be part of this active, caring and giving community! It always amazes me how often we are given the opportunity to experience His undying love through the selfless actions of our fellow families and parishioners. I believe that your child is one of God's most precious beings and He created each and every one of us for a very special part in His plan. It is important that your child acknowledges His immeasurable love that resulted in his/her uniqueness. It is my goal that our school will help our children to become enthusiastic learners, both spiritually and academically, so that they may become independent, self-confident, inquisitive learners...to gain a true love of learning that will remain with them throughout their entire lifetime. I want our school to nourish their souls, as well as their minds. Hi, my name is Kelly Hartlen. I am so blessed to have the opportunity to work at St. Joan of Arc Preschool because I love kids and I love my Catholic faith. Getting to work in a place where I can freely share that faith is such a gift. I was born and raised in Toronto, Ontario, Canada. In 1995, my husband, Bryan and our 3 kids, Heather, Matt and Kristen moved to Vermont and in 2006 we became U.S. Citizens. I have lived in Arizona with my family for the last 15 years. My youngest child was the age of our Preschoolers when we moved here and they are now all living on their own and finishing college. My oldest daughter is expecting her 1st child in January 2017 so I’m going to be aGrandma!!! Thank you all for letting me practice being a Grandma with your children. I look forward to meeting each and every family and getting to know your children who are truly God’s gifts. Hello my name is Maxine Baskerville. I am a long time parishioner of St Joan of Arc Parish. I am so happy and honored to be the Atrium Catechist this year. I have assisted each year and have been blessed to have 2 of my grandchildren attend St Joan of Arc Preschool. I can attest to the wonderful difference it has made in preparing them for elementary school. I am a certified Catechist of the Good Shepherd and a graduate of Bishop Olmsted's Kino Institute. I look forward to getting to know you and your beautiful children; the future of the Church! My name is Dulce Shimkus. This is my 10th year teaching preschool, my 5th at St. Joan of Arc. I attended the “Instituto Tecnologico de Estudios Superiores de Occidente” (ITESO) in Guadalajara, Mexico. I am bilingual, English and Spanish. My educational background was in Mass Media Communications with a major in Journalism. I received a Certificate of Completion in Early Childhood Education from Paradise Valley Community College. I enjoy learning, and continue to take various classes and attend seminars and workshops regularly. My husband Ed, is a Gold Course Superintendent. I have 4 living children, and one in Heaven. My oldest daughter is 31, and lives in Santa Monica, CA. My second daughter is 24 and just started a Doctorate in Physical Therapy at Regis University in Denver. Eddie is a junior at NAU, and Emily is in 9th grade. Language development plays a critical role in learning and future success. I strive to help children develop their curiosity and love of learning through various activities daily in class. Learning takes place through individual and group project work which is initiated by the children. Class library, manipulatives, science, dramatic play, block area and literacy areas reflect the children’s interests. Language is developed through play in the various centers. Stories are invented, told, dictated and displayed. The children’s learning is made visible through documentation that is displayed in various parts of the classroom. I am inspired by the philosophy of Reggio Emilia. One of the main tenets of the Reggio Emilia approach is that “all children have preparedness; they have interest in relationships, in constructing their own learning, and in negotiating with everything the environment brings them. Children should be considered active citizens with rights, as contributing members, with their families and their local community.” The manner in which the classroom is arranged fosters encounters, communications, and relationships. Reggio is not a pre-determined curriculum. It is more a way of thinking, teaching,learning and partnering with families. I present the children with possibilities and opportunities to make their own connections. I had the privilege of going on a study tour to Reggio Emilia, Italy in 2013 and will be returning there inOctober 2016. 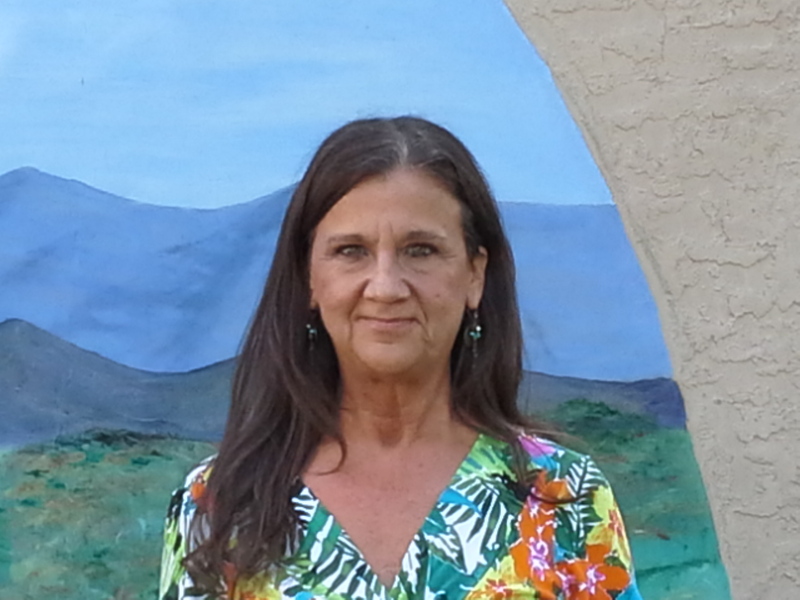 My name is Sheri Miles and I am excited to be returning for my 10th year at St. Joan of Arc Preschool.I grew up in the local Moon Valley area and then relocated to California after graduating from high school.I attended Los Angeles City College while pursuing my interest as a chair side dental assistant. I transitioned into the health-care industry working in provider relations at the Maricopa County Medical Society for 8 years. As a lifelong learner, I regularly engage in high quality professional development provided by Paradise Valley Community College. These formal education courses ensure that my knowledge is up to date with the latest research, trends and issues that impact the fieldof early education. My husband Alex and I have been married for 25 years.We have four incredible children: Jenna, Madilyn, Lindsey and Alex, a former St. Joan of Arc graduate.Jenna recently graduated from California Lutheran University and is in the process of applying to Midwestern University; Madilyn is a senior at William P. Carey School of Business at Arizona State University; Lindsey is a sophomore at the Herberger Institute of Design and the Arts at Arizona State University; and Alex is a junior at Desert Mountain High School. My family life is especially busy but in my spare time I enjoy reading, home-decorating, art, dining out, sporting events and traveling. I am grateful that God’s guidance has led me to this rewarding profession and Ithank you for allowing me the opportunity to teach your child. I am originally from Denver, Colorado and have lived in Phoenix for 10 years. My husband and I have four wonderful children, all ofwhom had the opportunity of beginning their education at St. Joanof Arc Preschool. My oldest three attend Annunciation CatholicSchool, while my youngest attends school here at St Joan of Arc. I enjoy sewing and quilting in my spare time. I am a longtime preschool parent and have assisted in my children'sclassrooms on a regular basis. I am honored to now be affordedthe opportunity to teach and utilize the knowledge I have attained. I am so excited to be working within this faith based communityand to be able to give the children a nurturing and stimulatingenvironment in which to explore and learn. Many of you have met me during tours as the Director, but this year I, once again, have the wonderful opportunity to also teach the Mini 3s class! I enjoyed the memories and bonds that were made last year within the Mini 3s class, and I look forward to forming those same everlasting relationships with our new younger children and their families. I welcome back those families who are returning to our preschool and extend a warm welcome to my new families. I want your child to feel safe, secure, but most of all loved...by all. Love will be the main theme throughout much of what we do this year. Everything I plan…much of what will be the result of observing your child and truly getting to know them, (their interests, likes, dislikes, dreams,) will help that "seed" that God has instilled in each of them to flourish and grow. It is a true blessing to be able to teach in this Catholic preschool where I am able to share my faith and His love with my families and their children. I want my children to love learning and to become confident with exploring the "unknown," and to ask questions and feel comfortable with their "solutions." I also want them to know how to have positive interactions with myself and his/her classmates. For this to be achieved, it is important that we also have a very open and authentic relationship. I want my families to understand our program goals, philosophy and expectations, feel safe expressing all feelings (even "upset"), ask the questions most important to you, and share in the decision-making process. I want a true partnership to be enjoyed by all! This requires a continual exchange of communication. You, as your child's parent, are always welcome to come into the classroom to observe your child. I just ask that you do not do things for him/her. It is important that all of their works be just that...their work. That's what treasured memories are made of! I am originally from York, Pennsylvania, and have lived in Arizona for the last 27 years. In 1977, I graduated from Penn State University with a Major in Psychology and a Minor in Early Childhood Education, and then pursued my Masters at Loyola College. I have a 26 year old son who lives with me and my mother, I love that our preschool is a part of this active, caring, and giving faith-based community! I look forward to getting to better know all of you throughout the upcoming school year.